A seasoned residential sales adviser with 18 years of experience in the luxury real estate market, Greg has successfully negotiated the sales of multi-million dollar properties in Martis Camp, Lahontan, Northstar, Truckee and Lake Tahoe. 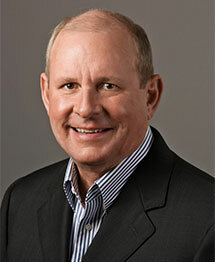 Greg is an expert in the Tahoe luxury real estate market with an impressive track record. Greg’s business approach is founded on building lasting relationships based upon commitment and trust. Clients appreciate his down-to-earth style, which gives them a high degree of confidence and trust. Greg’s years of experience combined with his genuine approach make him uniquely qualified to connect extraordinary people with extraordinary lifestyles. While living in Truckee, Greg has worked for both local real estate brokerages and major developers, including American Ski Company, Marriott International at The Village at Heavenly, and Lahontan Realty serving the communities of Lahontan and Martis Camp. Prior to real estate Greg worked for 17 years as a global sales and marketing executive where he learned the importance of being part of an international company. By aligning himself with Engel & Völkers Luxury Real Estate, the world’s premium global real estate brand, Greg is now positioned to provide his clients with the highest level of real estate services available.